Music by Robin Guthrie and Harold Budd. Kat Connors (Shailene Woodley) is reaching sixteen — physically maturing and blossoming as a sexual individual — as her mother, Eve (Eva Green), slowly cuts herself off from the world. When Eve walks out on her family, Katrina is left to fend for herself, unearthing revelations in an unlikely place: her dreams. 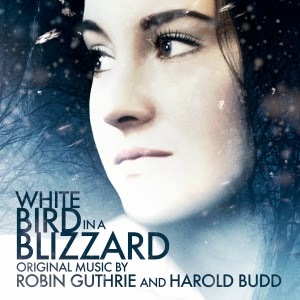 The movie soundtrack of White Bird in a Blizzard will be released on October 28, 2014 by Lakeshore Records.